Millions of Japanese have come from the countryside to find their fortunes in Tokyo, with most arriving in the postwar boom when jobs were everywhere and the future looked bright. 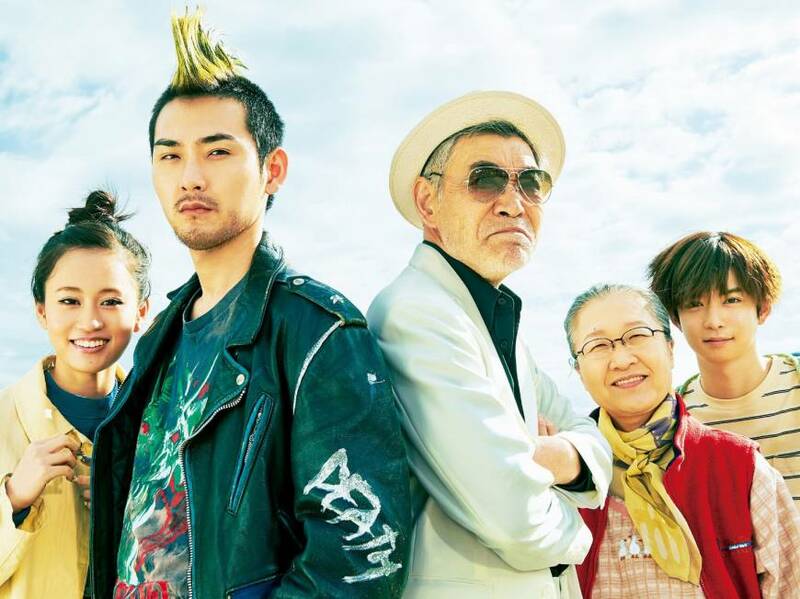 But many, like the punk rocker hero of Shuichi Okita’s offbeat, warm-hearted family comedy “The Mohican Comes Home” (“Mohikan Kokyo ni Kaeru”), ended up making a U-turn, however permanent or temporary. This has been a theme of Japanese films for decades, as indicated by the title’s reference to the 1951 Keisuke Kinoshita classic “Carmen Comes Home” (“Karumen Kokyo ni Kaeru”). The film, based on Okita’s original script, has elements in common with these older films, but also with the present-day actualities of rural escapees’ lives. 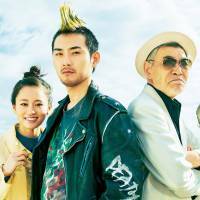 The Mohican-sporting hero, Eikichi (Ryuhei Matsuda), who has been trying to make it as a musician in Tokyo for seven years, ends up on a boat headed back to his beautiful home island in the Seto Inland Sea, with his pregnant girlfriend Yuka (Atsuko Maeda) in tow. One reason for his return is that his bandmates are tiring of the scuffling musician’s life and are ready to move on to more stable adulthood, health insurance included. On arrival, Eikichi gets less than a warm welcome from his irascible father (Akira Emoto), who tells him to cut his hair and get a job — demands that Eikichi rejects. Then Dad is diagnosed with terminal cancer and Eikichi, as the oldest son, feels obliged to take over the family liquor store. So far, so typical. Or not, since Okita, who also depicted a rocky father-son relationship in his similarly quirky 2012 comedy “The Woodsman and the Rain” (“Kitsutsuki to Ame”) rejects standard genre tropes, including sentimentalism. The film views inoperable lung cancer as both comic and tragic, and presents its principal characters, the afflicted father included, as both ridiculous and raw with emotion. Also, though something of a typical Japanese-movie geezer — good-hearted under his prickly surface — Dad is a rocker himself. Since seeing real-life 1970s pop star Eikichi Yazawa at a Tokyo Budokan concert (and, as he proudly adds, locking eyes with the singer) he has been a super-fan, teaching generation after generation of local junior high brass-band members a Yazawa hit, which the latest iteration of the band dutifully slogs through but secretly thinks is dreadfully old-fashioned. Cue mildly amusing gags about one clueless baby boomer. Everyone — from Eikichi’s devoted Hiroshima Carps fan mom (Masako Motai) to his bubbly bride-to-be — is a bit of an oddball, but no one is a simple cartoon character. And though the film takes a serious turn once Dad’s illness is discovered, it never loses its comic edge. Despite his slacker ways, Eikichi is a gentle-spirited soul who wants to do right by his cantankerous father, while stubbornly refusing to give up his dreams — or cut his hair. The apple, we see in Matsuda’s low-key but effortlessly grounded performance, does not fall far from the rebellious parental tree. As Dad, veteran Akira Emoto does his by-now familiar Crazy Old Man turn — cackling, growling and, in one memorable scene, madly chasing Eikichi around the family table. There is a rationale for this high-volume, if calibrated, performance, but explaining why would mean giving away the film’s rousing ending. Okita is both a miniaturist, carefully shaping the look and mood of every scene, and a storytelling maximalist, taking on big themes with compassion and insight. In “Mohican Comes Home” he tackles two of the biggest themes of all — birth and death — and shows they are not so far apart after all.